Superhero. 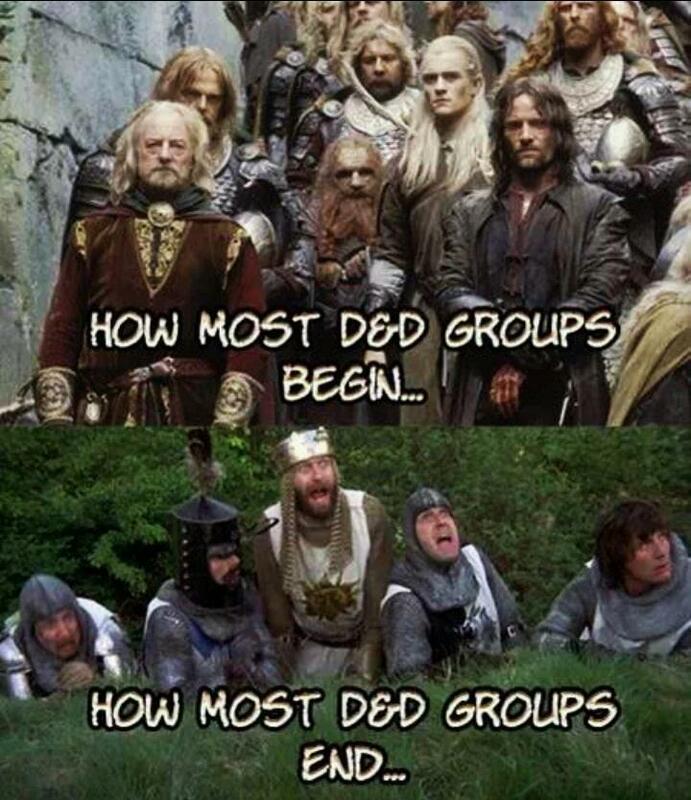 RPG. Kickstarter. I’m talking to Ed Jowett of Shades of Vengeance about his superpowered RPG, Era: The Empowered campaign. EGG EMBRY – Ed, thanks for joining me, as always. What’s Era: The Empowered about? ED JOWETT – Thanks very much, it’s a pleasure to be back! Era: The Empowered is an epic RPG which tells the story of the emergence of superheroes – Empowered – on a world called Terra. Rather than offering only one scenario within the setting, the game’s timeline follows through 10 years, providing access to every sub-genre of superhero story you could want. For example, at the start, the first telltale signs of Empowered appear and vigilantes emerge to fight the supervillains who rise up. Following that, Atlantis’s forces rise from the ocean to attack the surface. Next, the supervillains and superheroes form groups to fight the larger threats to their goals. When the Old Gods of legend return and claim part of the planet as their domain, Empowered have to choose whether to try to fight them back or join them. When that threat is destroyed, the Assassins’ Guild begins to target Empowered individuals, attempting to eliminate them all, one by one. Before long, the UN supports the formation of the “Empowered Department”, a superhero police force which reports to them and operates in every country of the world. And, finally, the planet is attacked by a huge, extra-terrestrial force named “The Hunger”, which seeks to wipe out all Empowered on Terra. That is Era: The Empowered – it’s a game designed to let you play any type of superhero game you like, just by choosing where in the timeline the characters exist! EGG – This isn’t your first foray into the world of The Empowered. How did your “Tales of the Empowered” anthology influencing this RPG? ED JOWETT – Actually, it’s my third foray into the world of The Empowered! A little over two years ago, I created the Rulebook Primer for the game, which ran a successful Kickstarter Campaign. In fact, if you search Kickstarter for “Era: The Empowered”, you’ll find that project, which is long since closed. That book had an older style of artwork and didn’t include character creation rules or any of the history. I always intended to do more, and it’s taken me 3 years to get everything together for that book alongside the other projects I’ve been doing. The Tales of the Empowered Anthology was devised thanks to the Kickstarter “Make100” initiative. They ask you to make 100 of something, as a limited reward on the Kickstarter. I chose to offer 100 people the chance to add their own superhero to the Era: The Empowered universe. I took submissions from various backers, and we formed the “Tales of the Empowered” anthology from the stories we wrote for those people, plus the stories which had been written during the three years of development but weren’t going to make it into the Core Rulebook. It’s come out very nicely, and makes a rather nice anthology. I’ve already sent it to backers and the physical version is about to go to print, well ahead of schedule. So, the answer is that Tales of the Empowered isn’t influencing this RPG, it’s effectively filling in extra Empowered and describing what they were doing during the various events that take place throughout the timeline. There are many more Empowered than could possibly be featured in the main storyline I described above, and this was my way to include a few of them! EGG – You’ve written a variety of comics. Which ones co-exist with Era: The Empowered and what inspired them? ED JOWETT – The comics are either related to Era: The Consortium or Era: The Empowered. They tell a few extra stories which, again, we didn’t want or need to put in the Core Rulebook. We wanted to expand the universe further – we really love these characters and the universe – and this was a fantastic opportunity to do so! So far, there’s Lacuna, Blue-Shift and Penumbra #1 and #2 in the Empowered universe. In fact, Blue-Shift is just running its own Kickstarter [ https://www.kickstarter.com/projects/sovcomics/blue-shift-frenemies?ref=ewlorb ], and has passed multiple Stretch Goals! While Penumbra is more light-hearted and the others are more “serious”, they all exist in the same universe. EGG – Era: The Empowered has a 5-year timeline. What are some of the other defining moments for the in-game history? ED JOWETT – Well, I covered most of the main points above, although there are a few others. The second one that springs to mind is the destruction of the robot supervillain, Hack. He’s not, in fact destroyed and, in the best traditions of Ultron, sits at the bottom of the ocean and self-repairs. While people on the surface consider his threat resolved – his creator even moves on to building a cyborg, which he hopes will be more stable! – he enters Atlantis and begins to destroy it. That’s the cause of the war between Atlantis and the surface world! And one final event out of the timeline (although there are many, many more, of course!) is the realization of a character called Cecropia that when she kills another Empowered, she increases her own sound-based powers. When she finds out about the Hunger and the speed with which it is approaching, she takes over the Assassin’s Guild with one purpose: to eliminate all Empowered. That includes herself. She is going to save the world. There are so many interesting events in this timeline, many of which have been contributed to by a 15-year veteran of comic writing, that I couldn’t possibly go into them all… but that’s a taster of just a few! If you want to know more, get hold of the book and immerse yourself in this rich, detailed story. 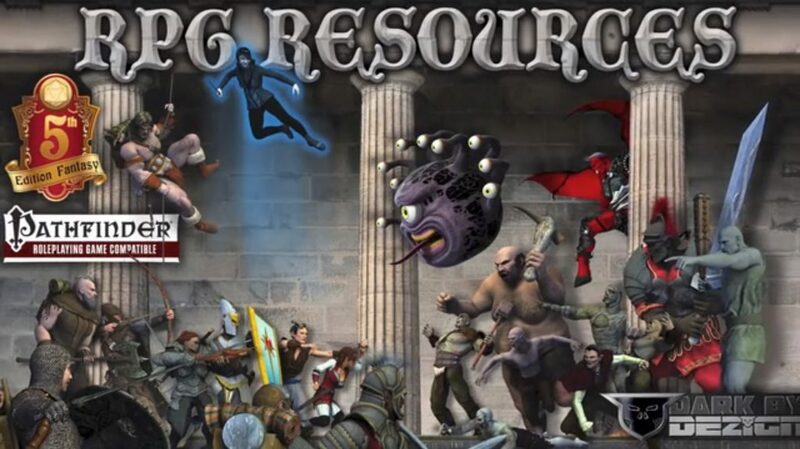 EGG – From a certain point of view, RPG was born of D&D, which could be seen as the celebration of fantasy England/Europe. From that same point of view, superhero comics tend to be the celebration of fantasy New York City/United States of America. Do you see Era: The Empowered through that prism or does it have its own niche within the superhero genre? ED JOWETT – Honestly, I’ve never really thought about it in that light. That said, the influences on the universe are going to be pretty clear: it’s a universe which has certain parallels to those of Marvel and DC – quite deliberately – with our own twists and turns within the story and the way it plays out. We set out to create a superhero universe that was evocative of those, but told its own story and went its own way, both through the roleplaying game and the comics and stories which accompany it. I’d like to believe that anyone can enjoy playing this, no matter their background, because whether fantasy, Sci-Fi or superheroes. EGG – That brings up, who is your favorite superhero? And better yet, who is your favorite supervillain? ED JOWETT – My favourite superhero is split between two, so I’m going to cheat! Martian Manhunter is a fundamentally kind and good individual in most incarnations. You have to respect that from a person who is the last of their kind because their race was wiped out in a war. I also happen to love the possibilities involved with both telepathy and density shifting! Iron Man is… well, we all know what he is. But, as is pointed out in the Avengers movie, what he is without the armour is *the guy who made the armour*. I respect intellect, and I always prefer someone who made themselves into what they are than someone who randomly had a mutation appear and their struggle is just about coming to terms with their nature. I like to imagine that people can change who and what they are, which I guess is the appeal there. As for supervillains, it’s fairly clear, and follows the same sorts of lines for one of the classics: Dr Doom. “For those of superior intellect, words *are* weapons.” This guy is hated by everyone in the world, except for the population of the country he actually rules. He’s loved there, they have amazing living conditions and are, generally, extremely happy. There’s a duality in that which I find interesting – someone who will fight everyone else in the world, usually for very little obvious purpose (although Doom does always have a plan! ), and yet is loved by his own people. EGG – With Era: The Empowered, are their specifics for how to play a villain or a league of supervillains? ED JOWETT – Absolutely, just as there are specifics for how to play heroes. 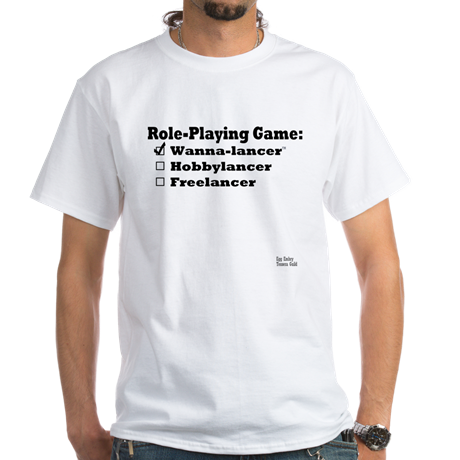 Because, like most RPGs, it’s essentially a team game, you’ll often find yourself working with others, even if you aren’t officially a league. In fact, one of our playtests involved two groups, where one played as the heroes and another played as the villains. After a couple of sessions, we all came together and had a big battle royale to see who was really superior! Great fun. EGG – How many Era settings have you developed? Do you have an idea of how many settings are yet to be born? ED JOWETT – I have developed and released seven Era settings so far – Era: The Consortium, Era: Lyres, Era: The Empowered, Era: Survival, Era: Silence, Era: Hitman and Era: Balam. I am currently working on a number more! Era: The Chosen is a horror game, where creatures from another universe are invading ours and only a chosen few are able to see them. The game spans over 100 years of this war with the Anonassi, and sees development of technology from a renaissance level to a modern level, offering a few things we’ve not ever done before. Mechanically, of course, it also includes rules around terror and a descent into madness from the horrors you will experience in the Lost Lands! Era: Atlantis is a game based around an underwater civilization, which is set upon by Humans from one side and great sea creatures from another. You’ll play as half-Human sea-life with various abilities, and a big part of the game will be appeasing your gods! We’re working on several other games as well, which don’t yet have full titles, but there’s a High Fantasy game, which I ran a session of at a recent convention and was very well-received, a cyberpunk game where you’ll get the ability to do matrix-like reality manipulation, a JRPG-inspired game along the lines of Final Fantasy, and quite a few more. In total, I currently have seven more Era games in development, not including expansions for Era: The Consortium or the game based on Richard Tongue’s Sci-Fi novels, Battlecruiser Alamo. There’s a lot more to come from Shades of Vengeance, I think! EGG – To that end, where can fans find out more about your Kickstarter and projects? Thanks very much for inviting me back, Egg, and I hope to speak with you again soon, about one of the other exciting projects we have coming up! For more on Ed’s superpowered RPG Kickstarter, click here – Era: The Empowered. At AetherCon VI* on November 12, 2017, I had the opportunity to play in an Era: The Consortium** adventure with Shades of Vengeance owner and Era d10*** creator, Ed Jowett. 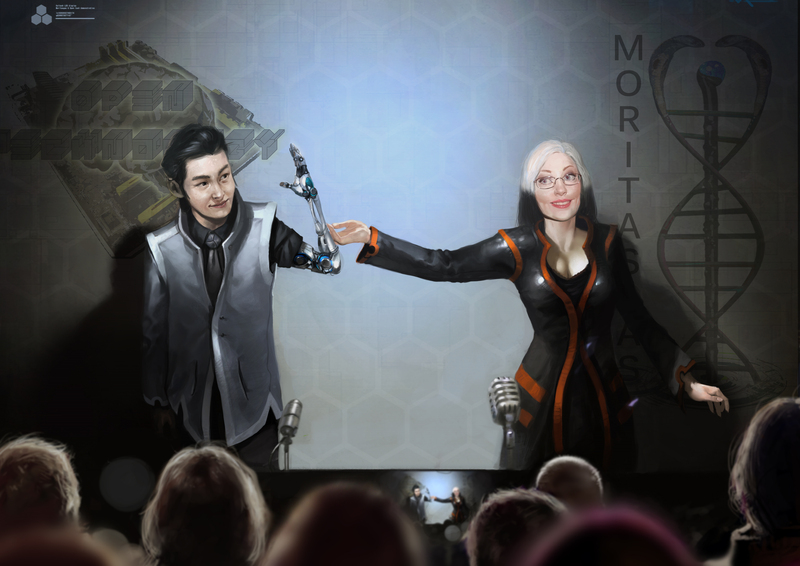 [Before we go any further, here’s the disclosure: I’m freelancing for Ed on an Era: The Consortium product here.] The adventure we played at AetherCon was an excellent opportunity to be at the same table as the game’s creator and get the rules as well as the spirit of the game right from the source. This session brought the mechanics and the intent of the game into focus and from it I want to share two scenes to discuss the gameplay but without giving away the whole plot. That said, light SPOILERS ahead for this Stiletto Unit adventure. If this product interests you, Shades of Vengeance is running a Kickstarter right now for Era: The Consortium – A Universe of Expansions 2 which adds more rules and species and adventures to the Consortium universe, including one by me (if the stretch goal is reached). a d10 dice pool system generally created by adding an Attribute plus a Skill and rolling against an Action Difficulty/target number where each die could be a success or a fumble. We opened the Google Hangouts session by picking our pre-generated characters from Stiletto Unit, a band of freedom fighters that are a part of the Resistance against the Consortium. What’s to resist? Era: The Consortium is a far flung future in which companies openly run the worlds. The “openly” part is key – companies are the government and you’re a part of a group that’s fighting that status quo. 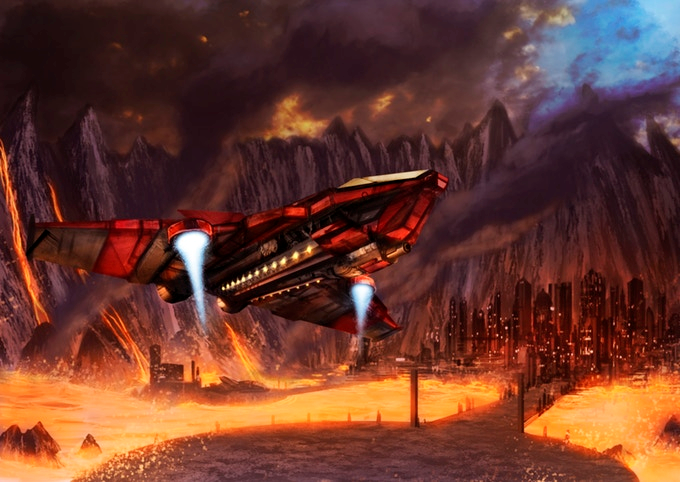 In the adventure Ximian politician and Resistance backer, Ixitixl, has Stiletto Unit investigate a Moritagas Pharmaceuticals base on Arawn looking for a superweapon that will destroy all of the Resistance. With that setup, we got into the game. How well do non-combat skills work? After the fight at Moritagas Pharmaceuticals’ base on Arawn. The first mission and combat of the adventure came about when we failed to covertly infiltrate Moritagas Pharmaceuticals’ base forcing <gasp!> combat. After the combat and some meaningful story clues, Stiletto Unit boards their spacecraft and we have a chance to work on some non-combat skills. Zeelaay, our pilot, used [Attribute] Wits + [Skill] Pilot against an Action Difficulty of 7 and rolled 2 successes to launch our ship into space. Onboard, after a series of events set off an EMP that knocked out our cybernetic implants, Dr. Curay and Styxtirian [me], a Ximian engineer, combined actions to repair each cybernetic implant (Int + Medicine for 3 successes from Dr. Curay and Int (1d10) + Engineering (4d10) for 5d10 and 2 successes from Styxtirian). Another Stiletto, Takahashi, had a stealth suit (think Predator) that was burned out in the combat (first combat and your character’s “gimmick” is wiped out early, always fun!). Aboard the ship, the character repaired the suit with 4 successes. There’s enough range and options to cover every situation that we encountered without being overwhelmed with choices. Standard Action Difficulty is 7 and that made it so most dice pools (which ranged from 4 or 5 dice up to 22 in one instance) had successes. The logic of why X+X forms the dice pool worked well and led to moments where we could name what we wanted to do and the dice supported our decisions. The GM is needed for a lot of pre-roll decisions. What Attribute and what Skill produces the result you’re going for? For many of these actions there’s a set combo of Attribute and Skill but there’s enough variation that alternative combinations can be introduced and that requires GM approval. Another common question for the GM is “What’s the Action Difficulty?” While 7 is the default, the GM may set the bar higher and there are scenarios (using Luck, having a situation-specific Speciality) that alter the number, which means that every player needs to talk to the GM before rolling to be sure they’re getting the right dice pool and difficulty. It’s not a problem because the rulebook has all of these instances well-defined, but it does slow the process down a bit when you’re new to the setup. How well do combat skills work? Fighting a Smertios Security (DIS)ARM. Our next mini-mission within the larger mission was to board a capital ship (we did) which led to the six PCs facing off against one of the game’s superpowered battlesuits, the (DIS)ARM. As a group, we turned the corner and there’s the (DIS)ARM and it’s round 1! We roll initiative and in Era d10 you only roll 1d10 and add the number of levels you have in Willpower and Wits to that. In Styxtirian’s case, that’s 1d10+5 (from 3x Willpower and 2x Wits). The (DIS)ARM went first and and off the bat it fumbles (rolling more 1s than successes in its attack dice pool) so its mini-gun falls off of the armor. Quick note about combat. You succeed on your roll to hit, you roll a number of damage dice equal to the number of your to hit successes. The damage dice have two Action Difficulties/Thresholds, one is to damage and one is to kill (so, for example, a roll of a 6 deals damage but a 9 kills). Thus ends the lesson. Two of the PCs shoot the (DIS)ARM doing damage to its shield though no harm to the unit or the pilot, just the shields. Zeelaay, the pilot, also loves rockets and shoots 4 into the ceiling above the (DIS)ARM because dropping debris (with 8 damage) incapacitates the armor beneath the wreckage. One of the Stilettos, Gyter, decides that his mission’s to crack open the armor, get the pilot out, and take it for himself. He gets on top of the immobilized armor and does a called shot with armor piercing rounds. A called shot halves your dice pool of Wits + Gunnery to hit but lowers the kill threshold for a called shot to the head. Gyter’s shot hit but because shields deflect armor piercing rounds and the (DIS)ARM’s shields were still up the shot goes wild. Takahashi goes into stealth mode and attempts to slip around the (DIS)ARM in the corridor. Dex + Stealth for the pool so 8 dice and she succeeds against an Action Difficulty of 10, which allows her to sneak behind the mech and attempt to interface with it in a contest to control it. For the contest, it’s a series of roll-offs as Takahashi and the AI both try to reach 10 successes and mastery of the computer first. For Takahashi, it was Intelligence + Computer (8 dice with an Action Difficulty of 7), however they both reach 10 successes on the same round so there is no winner. Styxtirian (me) is a strong Ximian and a melee combatant. He’s going to try and rip open the armor which should be easy for him with 16 dice (Str + Brawl)… I got 3 successes (I roll badly in most games) so Styx was unable to rip the armor open. Round 2. Still immobilized, the (DIS)ARM throws Gyter off of him and across the hall leaving a spot for Steve Adams to land on. Dr. Curay injects Styxtirian with a drug that will amp his Str from 6 to 11 for 5 minutes and then after that it will be a Str of 5. Gyter shoots at the (DIS)ARM’s faceplate to no effect. Takahashi is still digitally wrestling with the unit and tries to overcome it again and Ed (the GM) rolled a fumble so, as long as Takahashi did not fumble, she could override the AI. After accessing the (DIS)ARM, her only option is to activate its self-destruct and she does. The (DIS)ARM explodes. The denotation rips a hole in the ship’s haul forcing everyone to leap into the next section before the bulkheads seal. Unfortunately, Gyter never got his (DIS)ARM[or] and Styx had to wait until the next combat to get any advantage from the drug he was injected with. The entire party survived the combat with a minimum of wounds mostly because of the fumbled loss of the mini-gun at the start and Zeelaay’s decision and amazing roll to drop the ceiling onto the (DIS)ARM. I’m sure that reads like a lot of actions but in under two full rounds a very tough unit was defeated and several combat styles were utilized (melee, range, area of effect, digital) with interesting scenarios generated by each. It moved quickly and logically as we never had any disagreement about the outcome of a situation. As a *TERRIBLE* dice roller, I liked that there was an option for the damage dice to do wounds or an insta-kill. Having a chance to close out the combat is a win (no pun intended) in my opinion. As above with the non-combat skills, the GM is pulled into a bit of discussion as to what needs to be rolled. It was not as much as non-combat skills, but its presence slowed the game a bit. I’m freelancing for Ed (the GM) on Era: The Consortium so I’m not apt to dislike the setting or the GM (ha!). For this review, I wanted to focus on the Era: d10 system to share how it works and feels. Beyond a shadow of a doubt, Ed has an innovative system that feels right for the sci-fi genre. Which route does your table go? Having read the rules, written scenarios, and played the Era d10 system, I can say I’m excited to do it again. The game is a lot of fun, it’s logical, and led to some fun in-game scenarios with a lot of heart and humor. The story Ed told was epic and achievable in a single sitting and I’d recommend the adventure to anyone wanting to try out Era: The Consortium. I want to thank AetherCon, Ed Jowett, and all of the players for the experience. If you want to try the game yourself, there’s a Kickstarter for the Era: The Consortium – A Universe of Expansions 2 that ends on Sunday, November 26 2017 4:00 PM EST. **What is Era: The Consortium RPG? Enter at any point in 500 years of playable story, following the Consortium’s growth from a small colony to a multi-system economic and political establishment. 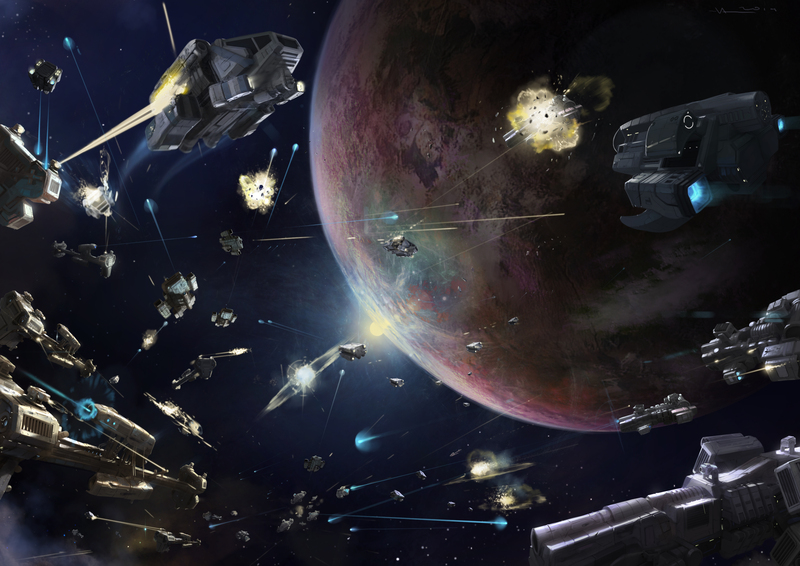 Explore new worls and encounter alien races, direct or fight in battles which span a solar system and will decide the future of the Consortium or join a Resistance movement against the government to save or destroy billions of lives! ***What is the Era d10 system? “The Era d10 ruleset is designed to allow you to experience this universe in a way that is as unobtrusive as possible without being misrepresentative. By choosing your skills carefully, your character can dominate in any of 5 forms of combat, talk their way out of any situation or protect their teammates from harm. The system is based around multiple dice – the more skilled you are, the more dice you have – and a variable goal based on activity difficulty. Using an Attribute and Skill system, which each define their own areas of influence, you roll your dice depending on what you’re attempting – whether Dexterity + Engineering for a precision piece of work, Intelligence + Engineering for a more theoretical problem or Luck + Engineering for a complete long shot, you’ll be able to adapt to your circumstances and focus on your strengths. Although you roll more dice the more skilled you are, the number you are attempting to reach varies depending on the difficulty of the action – if shooting someone in clear conditions, the GM would ask for a 7. If someone was laying a mine, more likely a 6. Firing over your shoulder at someone 30 metres away, while crouching behind a low wall would definitely be a 10! You can check out Era: The Consortium RPG on DriveThruRPG here. Everyone’s favorite mistress of shadows is back! But can she defeat the bunny lord? Ends on Sun, December 3 2017 9:34 AM EST. 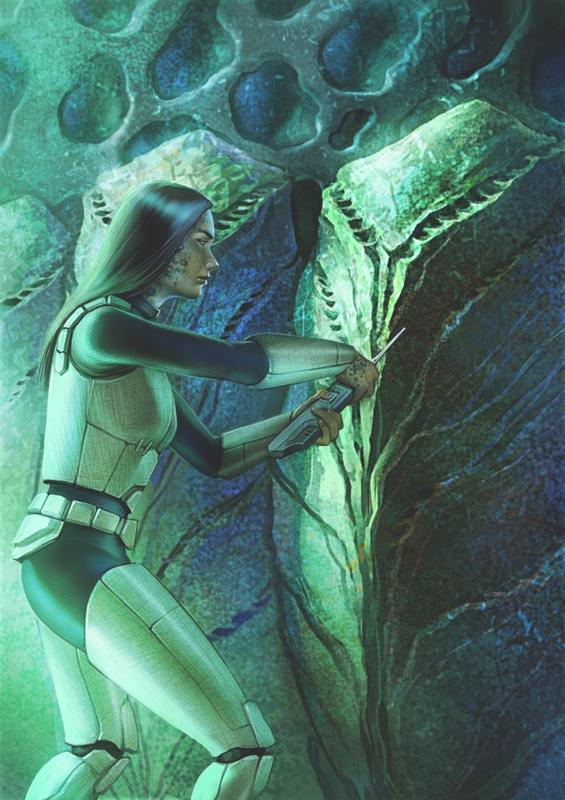 I’ve interviewed Ed Jowett of Shades of Vengeance before about his Era: Balam Kickstarter. Well, he’s nearly fulfilled that one and back with a new project. For my part, I’m excited about his latest Kickstarter because I’m freelancing on one of the stretch goals, Sirona Specials Part I (Sessions 1-10). Since the project is up and running, it felt like a good time to speak with Ed again. EGG EMBRY – I want to thank you for agreeing to another batch of questions, Ed. Let’s start out with the big ones, what is Era: The Consortium? And what is the Era: The Consortium expansion that you’re kickstarting? ED JOWETT – I am always happy to answer any questions you have, Egg – it’s a pleasure to be back! 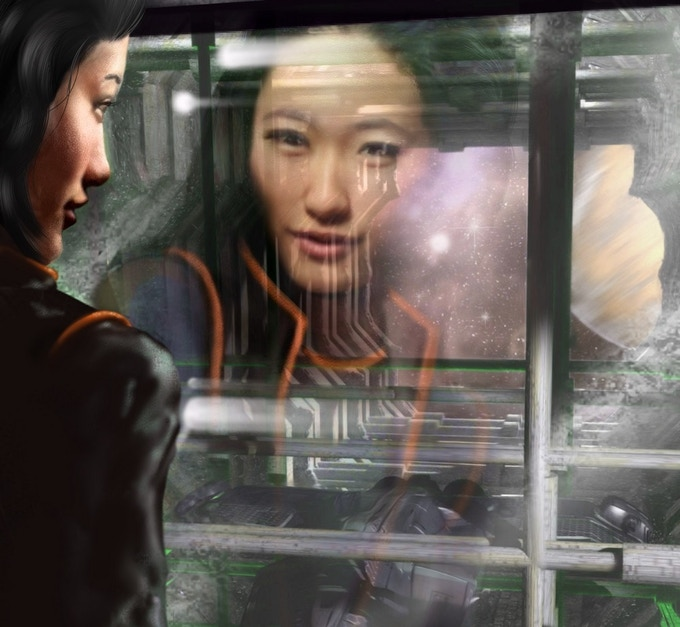 Era: The Consortium is an epic Sci-Fi RPG with 500 years of playable history. It follows the story of a group of Humans who have left Earth and travelled for over 1000 years to reach a new region of space. They encounter new alien races, explore this new region of space and continue to expand during the presented history. This amount of history sounds like a lot to read and understand, but the reason that this amount exists is that the intention of the game is to enable the players to explore any sub-genre of Sci-Fi that they wish. If you’re interested in exploring space and encountering new species, the history allows that fairly early in the timeline, and adapting to live with the species you encounter follows on naturally from that. From facing an alien race which is hell-bent on the destruction of the Consortium to a peaceful society with transhumanist tendencies and from cyberpunk style hi-tech dungeon crawl to standing up to an evil government and dismantling their schemes, every form of Sci-Fi which you can imagine is available within Era: The Consortium‘s timeline. These options mean that it’s very hard to explain in just a few words what Era: The Consortium is – a significant amount of that answer is up to the player! However, I hope that people who have read this understand what I mean when describe it as an epic Sci-Fi RPG! Just as there’s not one answer for what Era: The Consortium is about, I’m actually Kickstarting quite a number of expansions (anywhere up to 18!). I should mention before I leap into those that if you’re new to Era: The Consortium, there is a chance to get your hands on everything that already exists in a handy reward tier as well – both the Definitive Edition Rulebook and all of the expansions exist (8 so far!) in Digital Format at the £25 tier, which will add all of the books which we unlock with the Kickstarter. Free Trader gives rules for trading and piracy through the Consortium, with over 30 Trading Posts across the various planets and the prices for 40 cargo types at each one! New Worlds offers the chance to explore a new solar system at the end of the timeline, 250 years after the last one was discovered and explored, providing all the needed equipment and rules to do so. Predictive Genetic Algorithm allows players to create their own alien race for gameplay, with a huge variety of bonuses and penalties, including those available on the current playable alien races! The next part of the Time Travel Campaign (Part 4), which explores what would happen if a group of agents went back in time to the start of the Consortium to reshape it. Home Base, which offers the chance to build (and defend) a base of your own. It also provides the rules for building facilities within the base, which give you various bonuses as a result of their existence! Sirona Specials, which you ask me about in a later question. Creatures Of The Outsystem, which offers 30 encounters with strange and amazing life forms on the edge of Consortium space. Every Stretch Goal we meet will unlock a new expansion, and every Reward Tier includes whatever we unlock in Digital Format, meaning no-one will miss out! EGG EMBRY – Tell us about the Era d10 Rule Set that you use for all of the Era games and why it’s so versatile? ED JOWETT – The Era d10 Rule Set was designed to be a system which could work with any genre from the start, which had a significant impact on its versatility. It’s also designed to be simple to learn but complex to master – I’ve been playing for 4 years with a group of mathematicians, computer scientists and physicists and none of them have cracked it yet! The difference between games is modular, with the majority of the rules remaining the same. This means that every game has a familiar feel and most of the rules are reasonably intuitive once you’ve played for a while. Beyond that, though, it allows people to take modules from one game and transpose it into others. For example, the rules in the Revival Expansion (one of my absolute favourite books we’ve written!) are actually the rules from Era: Survival, presented in a Sci-Fi context. This provides the versatility that you’re talking about, in my opinion: if I need to add some new rules, I make sure that they follow the same paradigm and add a new module for the game. EGG EMBRY – You just finished the Era: Balam Kickstarter and have already shipped the rewards, correct? What brings you back to Era: The Consortium at this point? ED JOWETT – Era: Balam was completed and shipped for all physical and Era d10 rewards. I, personally, have completed everything except layout work on the Fate and Savage Worlds books, so I’m finished on that project until the awesome people – who are much more expert than I in those systems – complete their review of the work I’ve done, and their own writing. As a result, I’ve got a bit of a hole in my schedule, which lets me look at another project. All of that said, Era: The Consortium is a game that I never really leave, to be honest! Between the end of the Kickstarter almost exactly a year ago and this year, I’ve come up with 8 additional expansion ideas for the existing timeline (not including things I have thought of for the next 500 years!). I’ll be honest, out of the games I’ve created, this is my personal favourite because of the universe it offers. I’m very proud of the other games as well, but I could happily play this game for the rest of my RPG life, personally. As a result, I never want to stop making things for it, as long as people still want to get them… and it’s clear from some of the feedback I’ve already had that the people backing the Kickstarter definitely want me to continue! EGG – I’ve asked a variation of this question to several interviewees lately – SoV has a free preview of Era: The Consortium, how has it “tracked” so far and have you seen an uptick in interest since the latest Kickstarter launched? ED JOWETT – That’s an interesting question. I’m not sure if you’re aware, but we actually offer the free preview all the time. I would say there’s been a minor uptick from the Kickstarter traffic, but a lot less than there was a year ago. EGG – I mentioned that I’m assisting on the Sirona Specials Part I (Sessions 1-10) stretch goal and since it’s difficult for me as the freelancer to tease what it’s about in your interview, can you tell the audience what the setup for this campaign expansion is? ED JOWETT – Sirona Specials is the story of a group of prisoners who are offered their freedom in exchange for using their… talents. It will follow their adventures through the Consortium as they help the company which has offered them this deal improve their standing within society. If they do enough, they will be given new identities and set free, and as they achieve success they are given more tangible perks, such as good meals and better living quarters! It’s said no-one escapes Sirona. Of course, if they aren’t prisoners any more, it wouldn’t really be escaping, right? EGG – What inspired the idea that the Consortium would have something between a chain gang and DC’s Suicide Squad in the form of the Sirona Specials? ED JOWETT – That’s quite simple – companies in the Consortium are all always vying for power. Crone Correction holds some of the true masters of their craft – the people who were good enough to commit crimes to the extent that a sentence on Sirona was the only way to keep them out of circulation. I find it hard to believe that Crone Correction, even though it is mandated to exist by the Consortium Charter, is satisfied with its position. The leaders of the company want what every CEO in the Consortium wants: more power… and they wouldn’t be afraid to use the assets they have to achieve it! To me, this was a logical step, and I was glad to run into someone else who agreed it was a fun idea for an RPG campaign! EGG – As the publisher, can you highlight one pledge level/backer reward that you think is the standout for Era: The Consortium – A Universe of Expansions 2? ED JOWETT – I’m going to highlight two, but for a good reason! If you‘ve never heard of Era: The Consortium before, then you can get hold of everything that exists for Era: The Consortium (currently 11 books, with an additional one unlocked by each Stretch Goal!) with several of the tiers in this Kickstarter. To those people, I’d recommend the £40 tier, Katana Unit, because I think that nothing beats holding the book in your hands when you’re playing these games. The games are available in Digital only, as well, of course. If you’re an Era: The Consortium veteran, I’d say you can’t go wrong with the other £40 tier, Scimitar Unit, which offers all newly unlocked expansions in Digital Format, along with your choice of 3 in Paperback! This includes not only the new expansions, but also the older ones as well, so you can get hold of A New Dawn, Revival and Free Trader if you like (for example!). EGG – Recently, Shades of Vengeance attended MCM Comicon, what games did you demonstrate while you were there? How was the response to them? And what upcoming conventions will you attend? ED JOWETT – We had an absolute blast at MCM Comicon – I don’t think we’ve ever sat down so many people at our gaming tables over a weekend! We demonstrated all of our games: Era: The Consortium, Era: Lyres, Era: The Empowered, Era: Survival, Era: Silence, Era: Hitman and Era: Balam, as well as both of our card games, Champion of Earth and Evil Overlord’s prototype! We had an overwhelmingly positive response, which is always inspiring to see, but the best thing is always when we see people who had never heard of roleplaying or didn’t really think they would ever try it sit down and play, and instantly fall in love! I know that my team loves running these conventions as much as the players enjoy attending and trying out whatever we have new – we certainly have a lot of “repeat offenders” these days, who remember us from previous conventions and came searching for us! We’ve got a couple more this year, AetherCon is this weekend and we will be there inside the virtual environments they are offering! We will be running three games – one of Era: The Consortium, which is full, along with one of Era: Lyres and one of Era: The Empowered. It’s actually a fantastic time to join us for games, because it’s something that is totally virtual and we play via Google Hangout, so you can join us from the comfort of your own living room! Beyond AetherCon, we have Dragonmeet in London to finish off our year! That’s at the start of December, and we’ll be there demonstrating all the games we have, as usual! EGG – Since I have you here and we talked about Era: Balam last time, how would you rate the outcome of that Kickstarter in terms of fan response and what you delivered? ED JOWETT – Interestingly, the primary response that I’ve heard to Era: Balam is how interested people are to integrate the rules into Era: The Consortium‘s gameplay! The Era d10 version of Era: Balam has been received very well, with about 75% of people who backed the Kickstarter choosing to receive it. I think, overall, the project has been a great success, as well as proof that Era: The Consortium does still have more things that could be done, if people think there is more that could be added! EGG – Era: The Consortium has received a great deal of praise, what’s the quote that gives you the warm and fuzzies as a creator? ED JOWETT – Oh, that’s easy. There’s a review that was done very early on by RPG Knights who really inspired me to continue. In the low moments, I come back to it – I figure if one person likes the game this much, there will be others who like it just as much as well! EGG – What other RPG projects are you currently developing for Shades of Vengeance? ED JOWETT – I currently have 9 active RPG projects! I can’t talk about all of them, but here’s what I can say! The Core Rulebook for Era: The Empowered is close to completion. We expect to have all of the writing and artwork completed by the end of the year. That means we’re going to be looking closely at launching early next year on Kickstarter. This Core Rulebook will include the full character creation rules (which I finished writing on Saturday! ), along with a complete history and multiple different types of superhero sub-genres to explore! Era: The Chosen is something I’ve been working on for a while now (I recently realized I actually started artwork for it in January, although it had a bit of a break mid-year!). I also expect that to be done by the end of the year, and it is a bit of a race between Empowered and Chosen to see which one will get out first. Era: The Chosen is a Horror RPG – think Dr Who meets Turok 2: horrible creatures are snatching people from our world… will you be able to stop them? It also features some brand new rules around being terrified! And the last one I can talk about for now is one which is inspired by Final Fantasy in particular and JRPGs in general. I’m working with the talented Mr Mark Miller on the levelling up methods in order to get them nice and authentic with the correct feel. There is one other game that I am not currently at liberty to announce… but I will be in 3 more days! 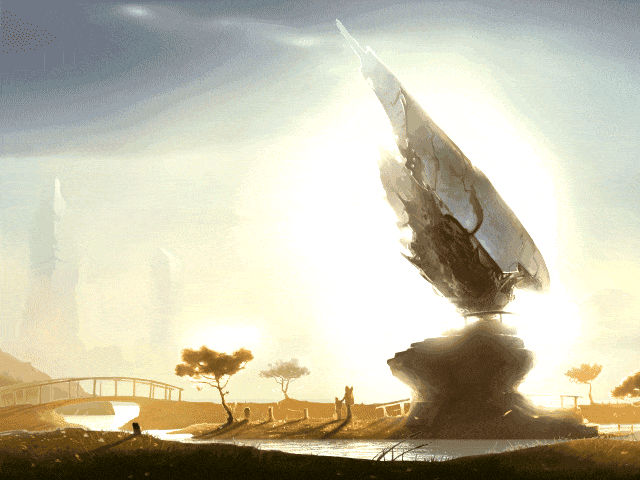 Please join us at the AetherCon panel about what is to come to find out more [here]. EGG – Any parting thoughts? Where can we find out more about Ed Jowett and Shades of Vengeance? I’d like to thank everyone for reading! 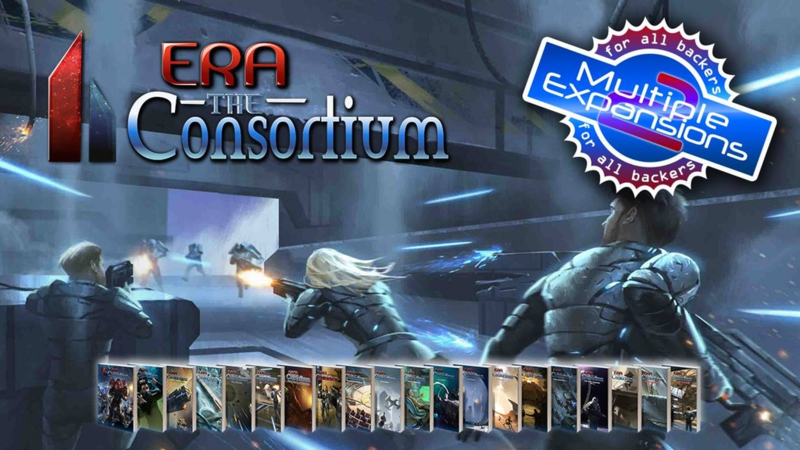 I hope to see you at Era: The Consortium – A Universe of Expansions 2 [here]. I first discovered Shades of Vengeance when I covered their Era: Hitman Kickstarter for my blog. 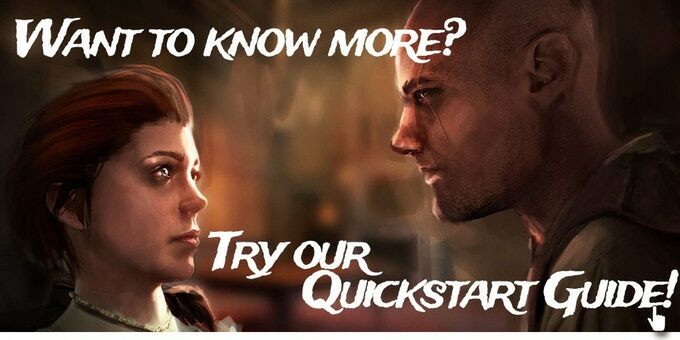 The idea behind the game – “Be a super-powered assassin” – spoke to me because it’s charmingly action movie and engaging. Who doesn’t want to be the bad guy and mind blast someone? Discussing the article with Ed Jowett, owner of SoV, led to working on an adventure for him and we’ve stayed in touch since. When he launched Era: Balam, I knew I wanted him to lead my new RPG Kickstarter interview column. So, let’s talk Ed, SoV, Era: Balam and more! EGG EMBRY – Thanks for joining us, Ed. If you don’t mind, let’s dive in – Tell us about your current Kickstarter campaign, Era: Balam? What is it about? Why should fans back it? ED JOWETT – Era: Balam is the latest in our series of Era games, the seventh entry in the group. It’s a game which focuses on the theme of a pilot and their ship being an entity together. It provides exploration, and alien threat to fight against and the chance to save Humanity from invasion! 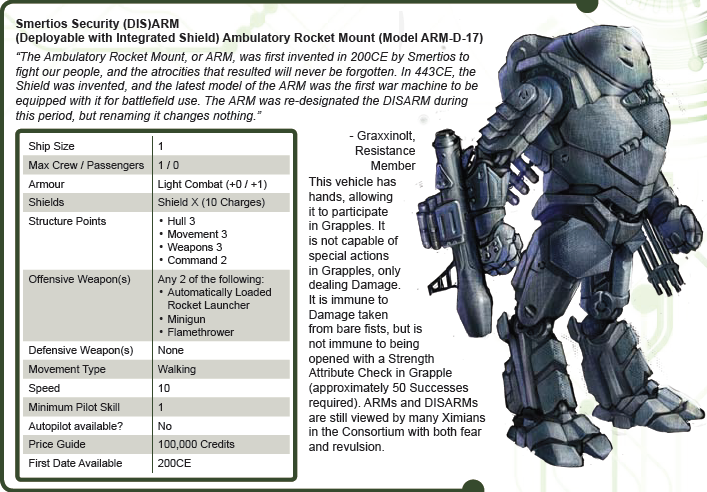 This game is also offering something new for us – a version in Era d10, but also one in FATE and one in Savage Worlds! You can choose which you prefer from the Kickstarter. EGG – Why did you make Era: Balam a part of Kickstarter’s Project of Earth initiative? ED JOWETT – When Kickstarter launched their Project of Earth initiative for the anniversaries of the Voyager probes, I was inspired not by what Earth is today, or what kind of message I might send into space, but by what might happen to a probe when it arrived on an alien world. What reaction would aliens have to it? How would they respond to this thing appearing? I took that one step further – what would happen if it accidentally did damage to their society? On the surface, that seems bleak, but while I wanted to make an interesting story, bear in mind everything that this implies – our probes reached other solar systems, travelling across the vastness of space and no matter what happened afterwards, it contacted an alien race for Humanity. Is that not what we all dream of when we send probes like Voyager into interstellar space? 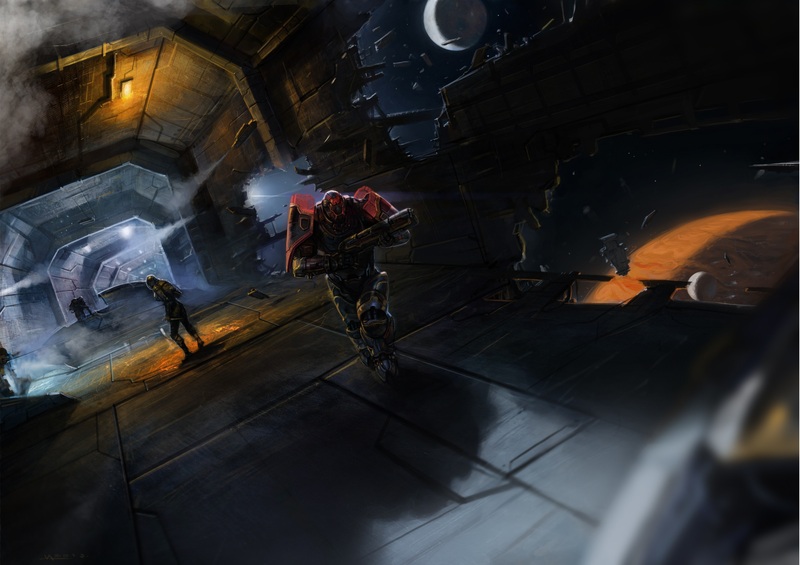 EGG – How does Era: Balam relate to your other sci-fi setting, Era: The Consortium? ED JOWETT – It relates in the sense that both originate with colony ships from Earth – the colonies in the system where Era: Balam is based are an offshoot of a main colony ship that was nearby. 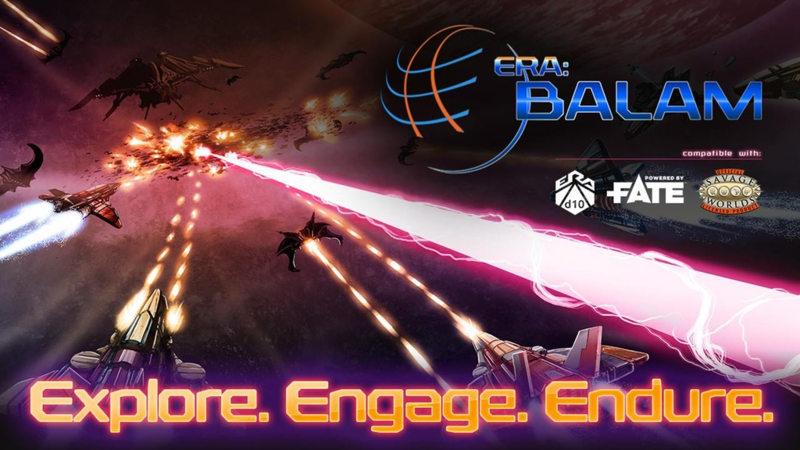 The rules are extremely compatible, though, and Era: Balam offers one of the few things that can expand the Sci-Fi experience of Era: The Consortium – while the latter game offers space combat, it’s primarily focused around larger ships with crews. You can fly a fighter, but it’s not usually an even match and most of the larger ships have great point defence. 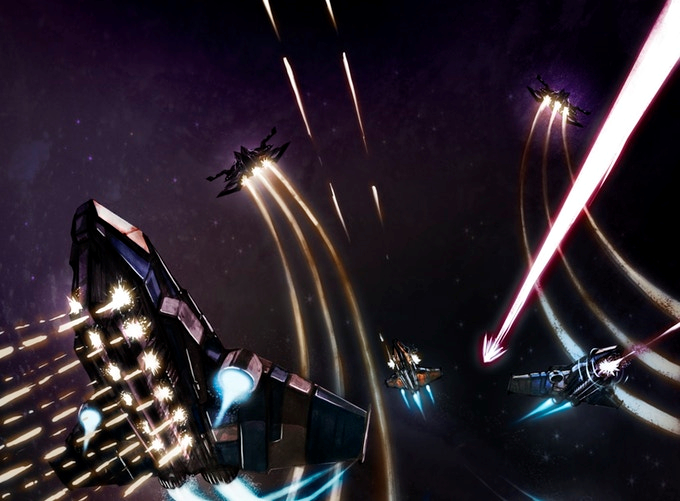 In Era: Balam, you get the chance to conduct dog fights on a relatively equal footing with the aliens – huge fleets of fighters exist on both sides and it gives the chance to face a different sort of threat to what you’re likely to face in the Consortium’s region of space. EGG – As the publisher, can you highlight one pledge level/backer reward that you think is the standout for Era: Balam? I’ve had a lot of questions about Era: Balam and how it relates to Era: The Consortium. There’s a lot of possibility there for cross-play. It gets better – you get not only the physical of Era d10 Balam and Era: The Consortium, but you get the Definitive Edition Rulebook of Era: The Consortium, with loads of extra content, along with your choice of rule set for Digital Era: Balam! It’s giving you loads of amazing stuff for just £55, along with the discount on retail prices on that entire bundle. EGG – What inspired you to create the Era d10 gaming system? What makes it stand out from other RPG systems? ED JOWETT – Era d10 was the answer to what my group and I wanted out of rules: I roll terribly, so I hate single dice systems. With Era d10 providing multiple dice, along with flexibility of matching any Attribute with any Skill built into the system itself, you both combat the “I roll badly” factor and min-maxing at the same time – a min-maxed character with no Intelligence could well struggle in certain situations! It also provided a combat system, particularly around Brawling, that was playable to a greater degree than other things out there: any Brawl action can be described in a single-page flow chart. I think it stands out because it’s easy to learn, extremely flexible and intuitive – everything works in the same way and once you know the core of the rules, it’s not hard to guess. I’ve had a lot of people comment that they could not find a rule so they guessed and when they found it later on a read-through, they were completely correct. EGG – What was the game that changed you into a gamer? ED JOWETT – A combination of things, but I’d probably have to say somewhere between Paranoia and World of Darkness. Paranoia was the first game I played and then GM’d 2 weeks later. We used a non-standard rule set – not that any of the players knew that, of course (because, for anyone who doesn’t know, it’s against the rules for the players to know the rules in Paranoia…). That got me into gaming, but what secured my attention – because the Paranoia rules we used was a one dice system! – was a World of Darkness homebrew we made which will be very familiar to anyone who knows Era: The Consortium. It was very much the predecessor of the game you’re playing today, created by those of us who were running a local 24-hour game! EGG – Tell us why you jumped from gamer to publisher and created your company, Shades of Vengeance? ED JOWETT – It was a friend of mine, actually, who convinced me to publish! I’d finished my first campaign and my brother wanted to try running one, so I was writing down the rules. Dru, my friend, was chatting and I showed him what I was working on. He said I should publish it, and things just spiraled from there! Their reaction was fairly… extreme! EGG EMBRY – Shades of Vengeance has completed Kickstarters for both RPGs and card games; are there any difference in how you run a RPG Kickstarter versus a card game Kickstarter? I have a lot more card games in the works, so I expect to continue learning! ED JOWETT – Know your domain on Kickstarter. Know what the bottom end of projects get before you start, because that is where you will sit with your first Kickstarter. Don’t look at Seventh Sea for RPGs and expect to get that, look at the new people. That means scrolling all the way to the bottom of the Tabletop Games list and looking at those. Set a realistic goal for where you are at. And, if you don’t know what you’re doing, get some help! One of the things Shades of Vengeance does is assist people with getting their games on Kickstarter. ED JOWETT – When I counted just recently, I realised I had 9 projects on the go, so I have quite a bit going on. The next one people will see is the Era: The Consortium – A Universe of Expansions 2 Kickstarter. The last one we did funded 8 expansions to Era: The Consortium, but I had 26 ideas at the time. I’d like to get more of those out there, and I’m looking forward to the chance to do it! After that, you’ll start seeing Era: The Empowered, our superheroes game, Era: The Chosen, our brand new horror game and Era: Legends, a Fantasy game, popping up. We’ve also got more card games, including a “sequel” to Champion of Earth, called “Evil Overlord”, Era: Survival Colony and one based in the Era: The Consortium universe! We’ve got loads more on the way, including a matrix-inspired cyberpunk game, a JRPG-style game and a High Fantasy game. We’re definitely hard at work here, with an ambitious 2-year plan and a desire to see it fulfilled! EGG – Any parting thoughts? Where can we find out more about Shades of Vengeance? ED JOWETT – I’d like to thank Egg for his time and the chance to talk about the thing I enjoy most – gaming! There’s a lot more to come from Shades of Vengeance and I hope you’ll consider keeping an eye on us, because we’re doing great things. If you want to know more about Shades of Vengeance, you should glance at our Kickstarters, or at our website blog (http://www.shadesofvengeance.com/blog/) or Facebook page (https://www.facebook.com/shadesofvengeance)! To see more games by Shades of Vengeance, check them out on DriveThruRPG here. To back their Kickstarter campaign for Era: Balam, click here.